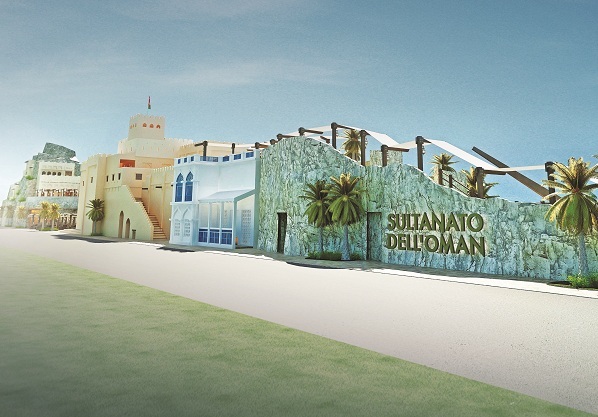 The Sultanate of Oman’s stunning 2,790 square metre exhibition showcase at Milano Expo 2015 – a collaboration between the ministry of commerce and industry of Oman, Oman ministry of tourism and Oman Air – will present the Sultanate’s ancient traditions and plans for a sustainable future. “Expo is probably the greatest opportunity in the world where we can simultaneously show the main assets of our Country,” said Salim Bin Adi Al Mamari, director general of tourism development, Oman ministry of tourism. Inspired by the Expo’s theme of ‘Feeding the Planet - Energy for Life’, Oman’s pavilion brings an authentic representation of Oman to life around the concept of Heritage in Harvest: Harnessing the Sea, Sun and Sand. The pavilion’s theme sees it divided into zones that represent water, the oasis, the sea and local traditions. In Harnessing Every Drop of Water, Oman will demonstrate its traditional mastery of water resources such as those presented by the khareef - the summer monsoon - whose seasonal influence greens the desert region of Dhofar, makes the cultivation of frankincense possible and feeds the ancient Aflaj irrigation network of canals and dams dating back over 2,000 years that now enjoy World Heritage status. Our Rich Farming Heritage will cover Oman’s unique agriculture from honey to hazelnuts and the rock roses of the mountainous region of Jebel Akhdar while touching on technological innovation and sustainable development possible in Oman’s tropical and Mediterranean climate. Treasures of Our Seas will showcase the rich marine environments and the fishing industry, which is still based on traditional techniques. Welcome to Our Home will reveal authentic and friendly Omani hospitality through offerings of coffee and dates, and sharing meals inside the sablat, the room of a typical Omani house where the family welcomes guests.